"Do what you love and you will never work a day in your life." 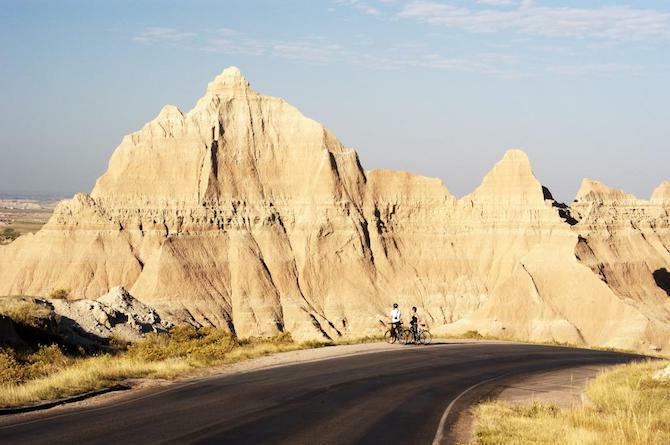 From pedicab driver to tour guide and bike marketing guru, there are plenty of paths for those who want to make their cycling passion part of their career. Read about six people who have found a way to make a living doing what they love, and their tips on how you too can pedal for a living. Former political junkie turned bike advocate, Nikki Javurek, is the Government Relations Manager at PeopleForBikes. 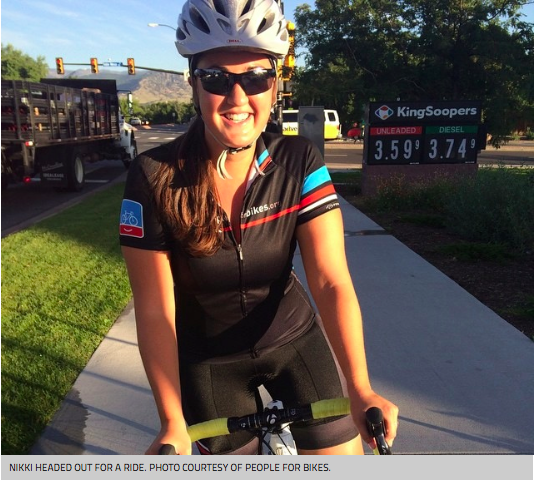 Nikki spends her time building and promoting the economic benefits for biking. A few of her favorite things about working in bike advocacy are the community, empowering people and being able to ride her bike (a lot). Can you handle working 24-7 for weeks at a time in the most beautiful places in the world? 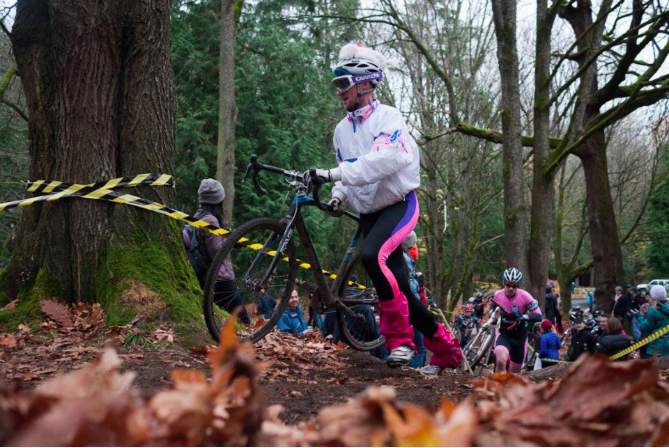 After serving in the Coast Guard and working in consulting, Matt Barney ditched the suit and tie to spend more time on his bike. Matt went to work for Bicycle Adventures on the West Coast and hasn't looked back. Check out the 'Pedal for a living as a Bike Tour Guide' post to see what the best parts of the job are. You might be surprised. People still need packages delivered even in the digital age. 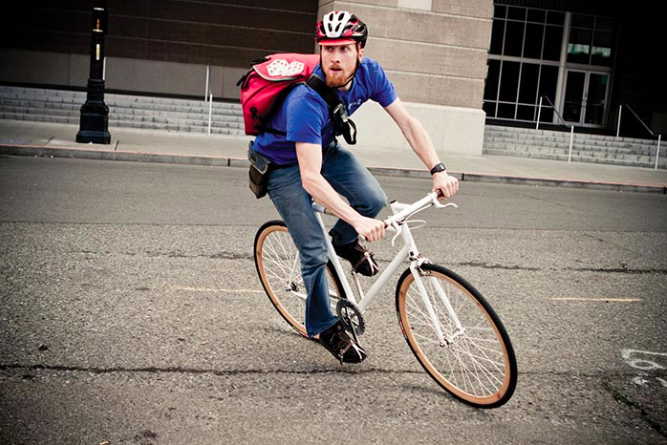 From important business documents to food delivery, bike messengers are still relevant and a great option for cyclists. Learn more about the daily life of a messenger and get tips on being successful from two-time Bike Messenger World Champion and pro cyclocross racer Craig Etheridge. From beginners to pro-riders, there is no faster way to improve your cycling skills than working with a coach. Cycling coaches come from all different backgrounds, but they all have one thing in common: their love of cycling. With 25 years of experience on a bike, Pete Webber of Boulder, Colorado teaches everything from mountain biking to cyclocross. Check out the "Pedal for a Living as a Cycling Coach" feature to learn more. Live in Austin, Texas AND make a living on a bike? Part taxi-cab driver, part bike messenger, Zach Riggs gets to live in one of the most popular cities in the country while supporting himself on two-wheels (or in this case, three). From South Congress to the infamous Sixth street, pedicab drivers get to ride around downtown Austin and are crucial to 'Keeping Austin Weird.' 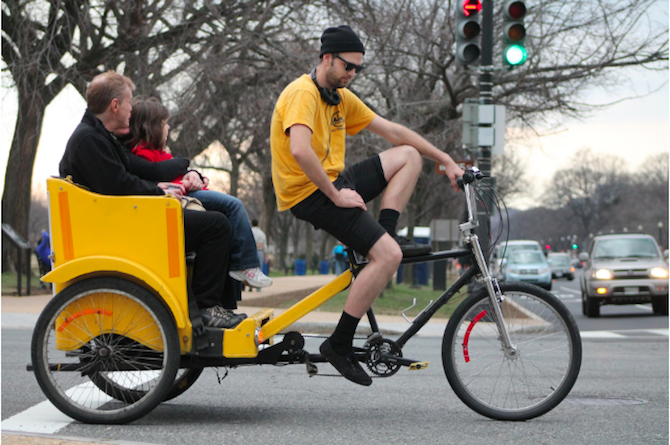 Find out if pedicabbing is for you, and how to get set up in your own town. Envision Don Draper, but swap the Old Fashioned for a beer and $500 dollar suits for spandex, and you have Brian “Sally” Fornes, Raleigh’s own go-to marketing guy. Working his way up from the warranty department, Brian shares his take on bike marketing and the ups and downs of working in the industry. Don’t see your favorite cycling-centric job on our list? There are plenty of opportunities to work or volunteer with, on and around bikes. We recommend reaching out to your local dealer or bike co-op to see what opportunities are available in your community.